Days before President Duterte delivers his State of the Nation Address, the Nagkaisa! Labor Coalition (Nagkaisa) and the Kilusang Mayo Uno (KMU) lamented the failure of the former to fulfill his promise to workers. “No end to ENDO. Run over by TRAIN. Waiting in vain for a significant wage increase. Labor rights violated. These, in a nutshell, is how sorry the state of workers are for the past two years,” said the Nagkaisa and KMU in a statement. “The cycle of unfulfilled promises–old and new–continue to hound workers,” they added. 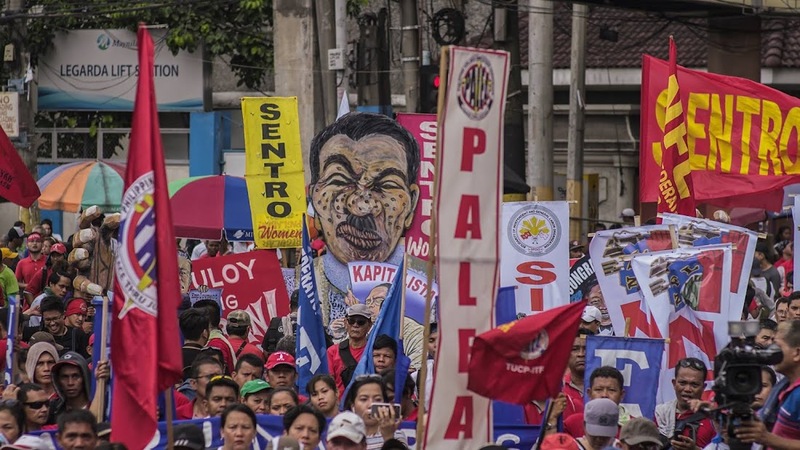 The labor groups said Duterte’s foremost promise to end “endo” or contractualization has not yet been fulfilled as many remain as contractual workers. This, as “endo”-practicing employers continue to refuse to heed the call of the government despite the issuance by the Department of Labor and Employment (DOLE) and Duterte of Department Order No. 174 and Executive Order No. 51, respectively, both of which bars companies from firing contractual employees covered by the guidelines. “Endo-lords refused to implement the DOLE regularization order and instead laid-off over 12,000 of its workers,” Nagkaisa! and KMU said. “Without the President’s decisive action, contractualization will persist,” they added. The labor sector also lamented the meager wage rates of workers amid the unabated price hikes. “These increases would not even bring our wages any closer to the P40,000 monthly cost of living,” they said. “Unabated price hikes have been the norm. Filipino workers are feeling the brunt of rising costs of basic goods and services, including food, transport, electricity, and water as direct result of TRAIN,” said Nagkaisa and KMU.